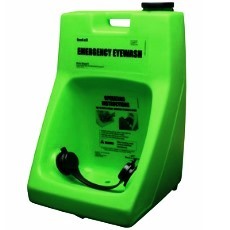 The Fendall Porta Stream I Secondary Eyewash contains six gallons of flushing fluid. It can be used as a supplemental eyewash for a worker that is injured on the job. The Porta Stream I is perfect to flush dust and debris that has gotten into the eyes.